Portus can only be properly understood in the context of the geomorphological environment of the Tiber Delta, and in particular, in terms of the movement of the course of the Tiber in the late Holocene period. 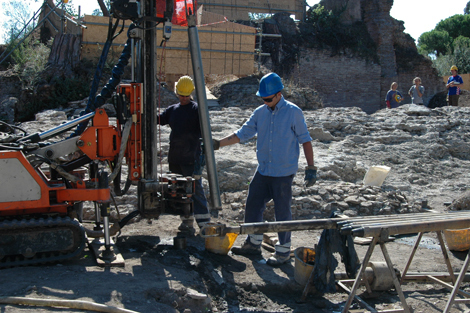 In order to assess these contexts, the Portus Project has drilled a series of deep cores on site in conjunction with a broader programme of cores being undertaken across the port by the Université de Lyon and the École Française de Rome. 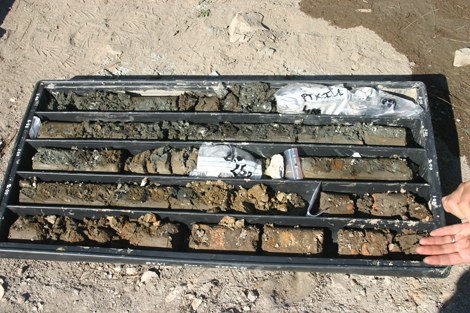 The sediments sampled by the cores help us understand the relationship between our excavations, the pre-port history of the site, and the use of the harbour basins and related canals. 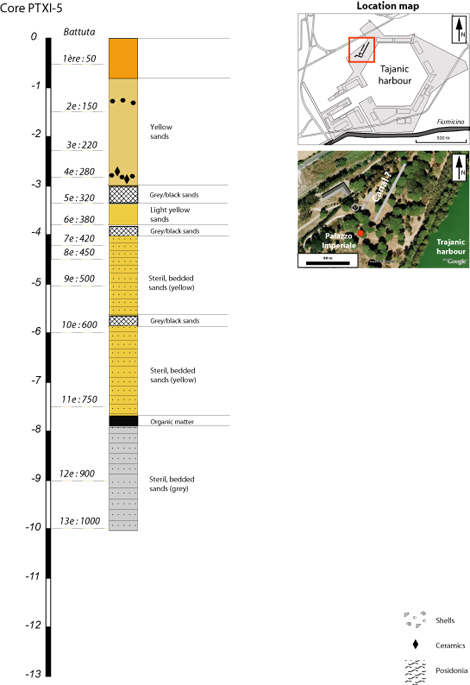 For example, analysis of sediments from the Trajanic canal that connected the Fossa Traiana and the Tiber, skirting close to the warehouses on the south-eastern side of the hexagonal basin, clearly shows how it helped receive Tiber waters in times of flood as well as a means of communication. All of this investigation complements programmes of important coring work being undertaken by the Soprintendenza per i Beni Archeologici di Roma and other Italian colleagues.